Change is on the way? 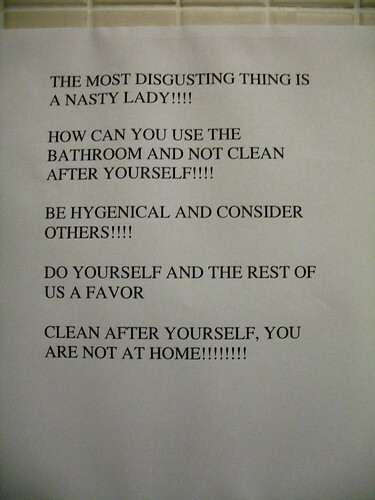 Jenny says these notes have started showing up in several of the bathroom stalls in her freshman dorm at Oberlin College. 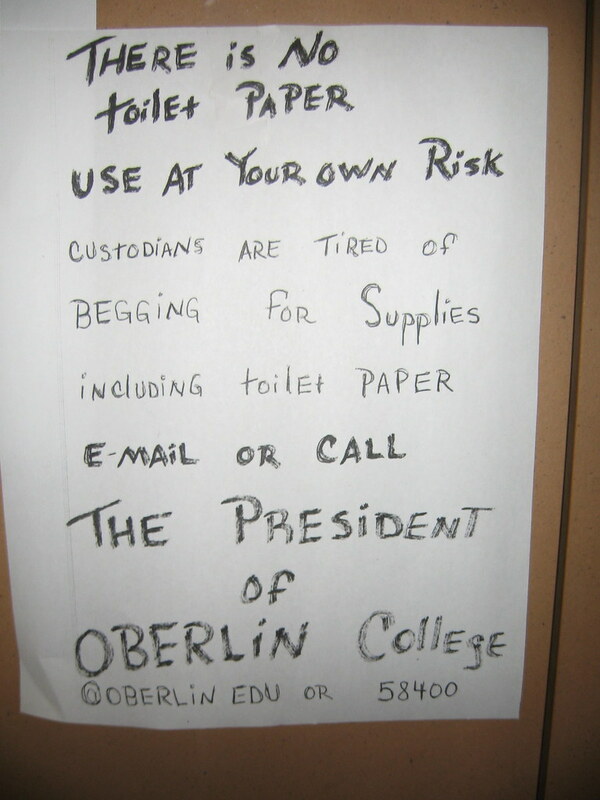 As far she knows, none of her fellow frosh have taken the custodians up on their suggestion…but who knows what’ll happen once Parents’ Weekend rolls around? So, President Krislov… care to comment? 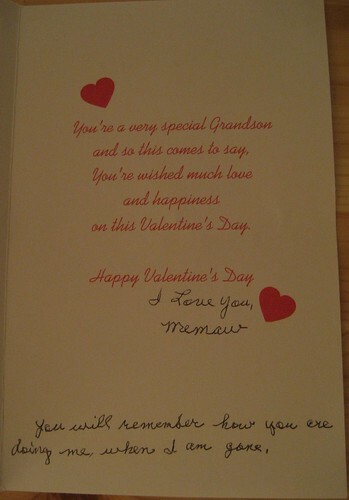 “My dear, sweet grandmother lived a long, full life and passed away recently at the age of 88,” writes Mark in Denton, Texas, but he still has the valentine his “Memaw” sent him back in 2005, during his freshman year of college. On behalf of Jewish grandmas everywhere…Happy Rosh Hashanah, everyone! related: Why is it on this night we’re like, allowed to eat carbs? 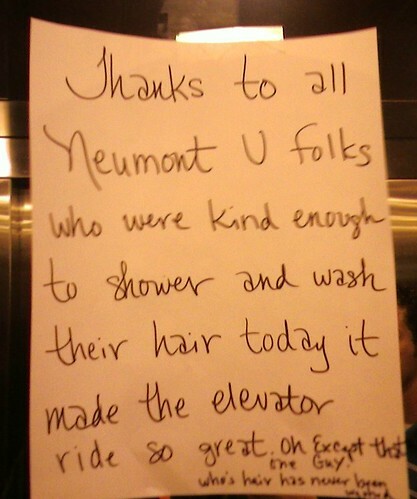 There are only 10 types of people in the world…those who remember to bathe regularly, and those who don’t. 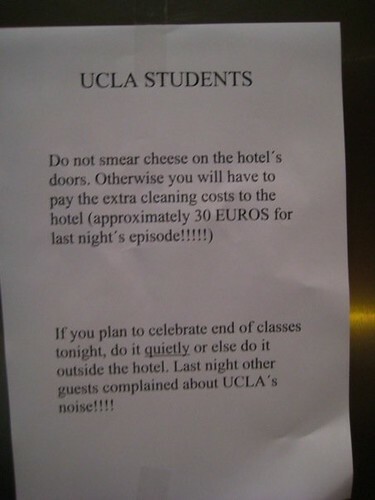 Edward says this sign was posted on every floor and inside all the elevators at the hotel that headquartered UCLA’s study abroad program in Granada, Spain last semester. Can you blame them? I mean, really — what a waste of perfectly good manchego! 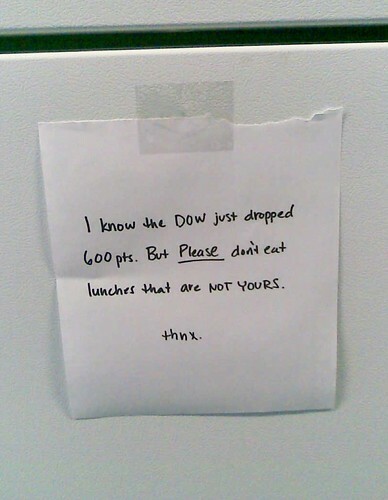 Tags: bathroom · CAPS LOCK · college life · food · fun with malapropisms · Say wha? 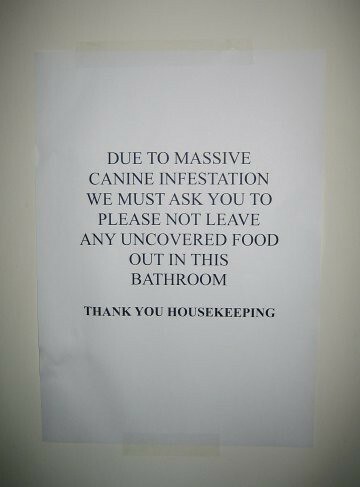 · toilet · U.K. · vermin · WTF?